Two experiences I had recently helped me to check if had unlearned somethings that used to cause me waste time, feel used and get upset. In the other experience, the person who I refused to assist, started to play the victim and when I ignored him, started to use a somewhat aggressive tone too! In the past, I would appease. Now I ignore anyone playing this game. As I told a friend, if someone wants to play the victim, they can have a pity party of one. I’m not accepting the invitation! I’ve divorced drama and I’d like to keep it that way! Don’t you just love these words? I do. And opinions were needlessly bought. And love without needing a why. And leave just a limitless sky. 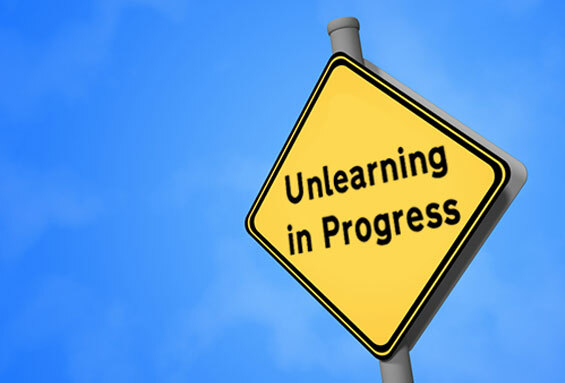 What are you learning to unlearn? I agree that people need to learn some things on their own. After all, that’s what the aim of therapy is — to give people the skills to be able to do it on their own. In the end, if they don’t want to take things on board, there isn’t much I can do for them. They make a choice to not practice or not learn.